Did I do anything wrong to cause my baby to be born with Down syndrome? Nothing you did or thought caused your child to have Down syndrome. All individuals who have Down syndrome were born with extra chromosomal material in their cells. This is a result of cell division, in either the egg or sperm, prior to conception or very soon afterward. At this time there are no known causes of Down syndrome, although advanced material age increases the likelihood of a child having Down syndrome. Do I need a “special” pediatrician to care for my child with Down syndrome? Your pediatrician for routine care does not need to be a "Down syndrome specialist". It is more important for you to choose a doctor you are comfortable with and who is willing to learn with you. Developmental pediatricians can also be very helpful. Dayton Children’s Hospital has a Developmental Pediatrics Group and Cincinnati Children’s has the Thomas Center for Down Syndrome. The Nisonger Center in Columbus also has a clinic for Adults with Down syndrome. What should I be doing to help my baby? Soon after birth, early intervention specialists from Help Me Grow, including physical, occupational, and speech therapists, and intervention specialists will guide you in how to promote your baby’s progress. Meet and talk to other parents! They are often the best source of information for people and programs that can help maximize your child’s potential. We have several ways to connect you to other families! How do I explain Down syndrome to my other children? We recommend a terrific book, We’ll Paint the Octopus Red, by Stephanie Stuve-Bodeen for preschool and early elementary aged children. The story is easy to understand and there is a question and answer section in the back that addresses many concerns that a young child may have. There are often sibling workshops offered for older brothers and sisters. The NDSC national convention each year includes a sibling track. Are there special programs for children with Down syndrome? There are programs available for people with Down syndrome in all stages of development. These include early intervention (Help Me Grow, which starts at birth), preschool programs, free appropriate public education in the least restrictive environment, therapy, post-secondary school options, employment training, and a wide array of social and support programs. What is included in these special programs? Most incorporate speech, physical and occupational therapy along with educational approaches. The goal is to lead the individual with Down syndrome toward greater independence and to give them the opportunity to develop their individual potential. With the right supports, individuals with Down syndrome have a great chance of becoming integral members of their community. Parents, siblings, and other family members are encouraged to participate in support groups and organizations that will help them to understand the needs and potential of their family member with Down syndrome. 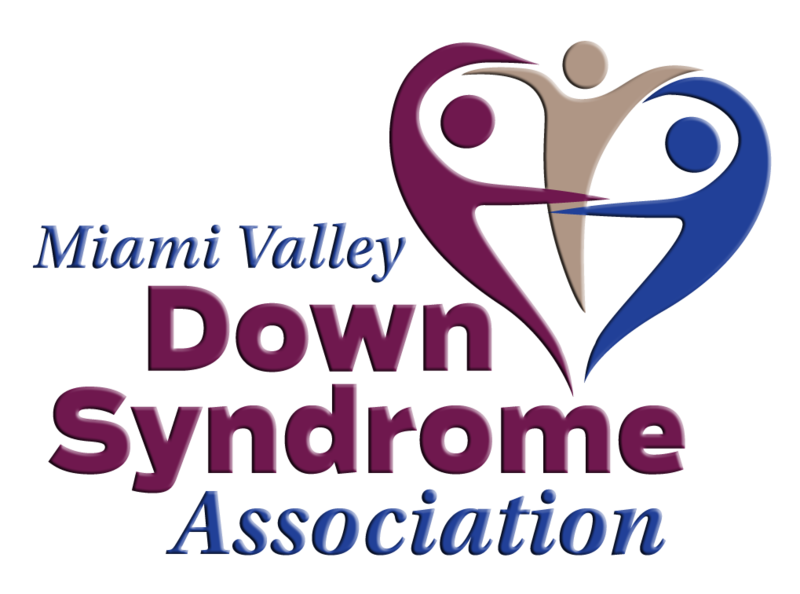 The Miami Valley Down Syndrome Association is one of these organizations. A child with Down syndrome can be born to anyone, regardless of age, race, socio-economic status, or where they live. Down syndrome occurs in approximately one out of every 700 births in the United States. I’ve heard that people with Down syndrome don’t live long — what is the life expectancy? In 1960, the average life expectancy was 10 years old, but with awareness, better health care, and community resources, many individuals with Down syndrome now live into their 60′s (as of 2007 the average life expectancy was 47). As medical care continues to advance, the life span of many individuals will be even longer. No, there is no cure. The extra chromosome will remain in cells throughout the person’s life. Early intervention, high quality health care, good educational opportunities, appropriate nutrition, and many other interventions make a huge difference in the individual’s life, however. If I have a child with Down syndrome, will I have another? Not necessarily, but advanced age is a risk factor. The type of Down syndrome your child has is also a factor. Genetic counseling is available to answer questions like this – contact your local hospital. Will my child walk, talk, etc.? Unless there is another condition that is present, almost all individuals with Down syndrome do learn to walk and to talk. Sometimes it might just take a little longer to learn!